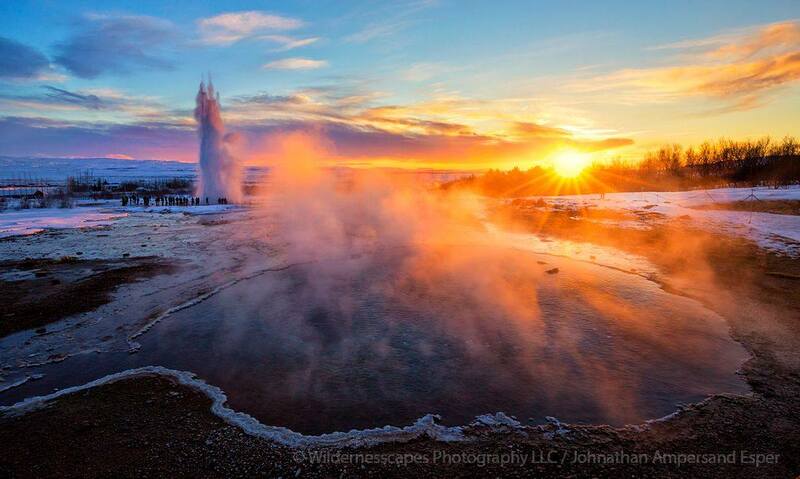 Stokkur Geysir erupting during a December afternoon sunset, Iceland, with Blesi pool in foreground. This is three photos blended, one for the sun and sky, one for the pool, and one for the erupting geysir a couple minutes after the others. Photo © copyright by Johnathan Ampersand Esper.